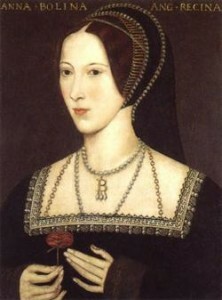 This is Part 5 of Esther Hyams’ wonderful series of poems on the life of Anne Boleyn. The secret object of the King’s passion a graceful woman of 27 years old. With genuine interests in politics, reform of religion she did secretly back. She detested the corruption of the clergy in all its immoral forms. She longed to change the corrupt Catholicism and put an end to its storm. With subtlety, intricacy, care and innocent looks. Attacking papal power in favour of kings, who were more than a man. Aiming along with Wolsey to discuss the royal marriage debate. Until something could be decided and the King’s Lady could return again. Trying to convince Catherine to go into a nunnery, to which she was aghast. Grand apartments with her own waiting women who read books and sang. Henry openly kissed the Lady Anne, as if she was already his wife. Thus began the period of hatred towards a woman deemed by many as obscene. Praising Catherine but saying that none should criticise for Henry was their master. Queen Catherine was also there but greater court was paid to the Lady Anne.